Be careful before you answer. 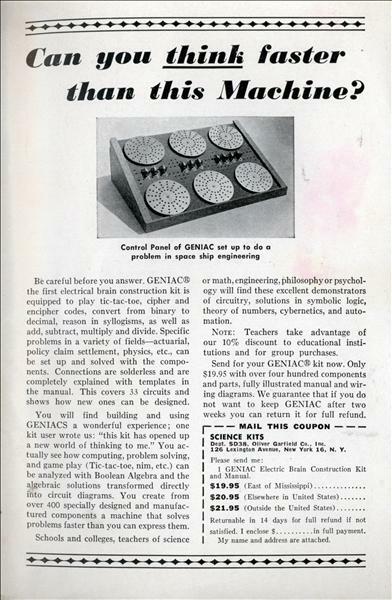 GENIAC® the first electrical brain construction kit is equipped to play tic-tac-toe, cipher and encipher codes, convert from binary to decimal, reason in syllogisms, as well as add, subtract, multiply and divide. Specific problems in a variety of fields—actuarial, policy claim settlement, physics, etc., can be set up and solved with the components. 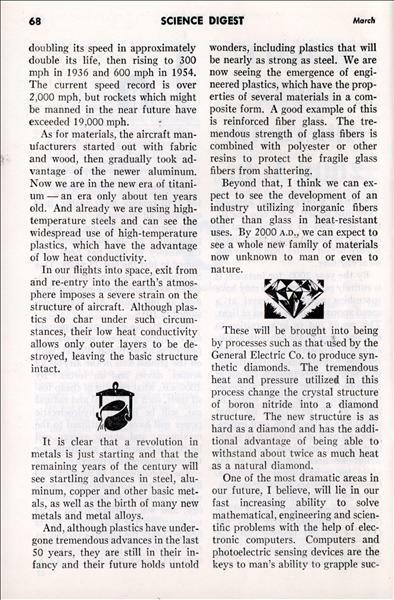 Connections are solderless and are completely explained with templates in the manual. 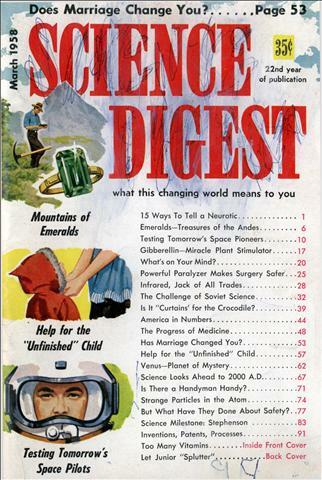 This covers 33 circuits and shows how new ones can be designed. 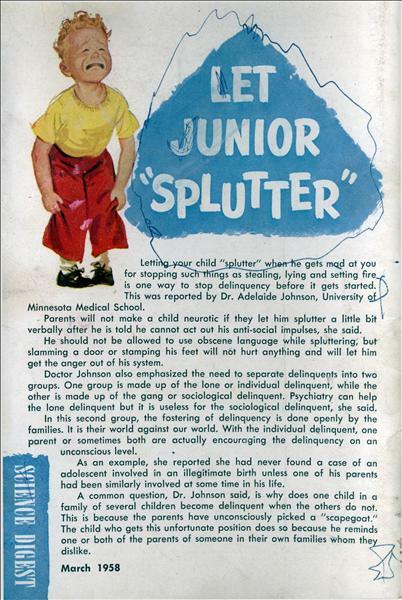 Letting your child "splutter" when he gets mad at you for stopping such things as stealing, lying and setting fire is one way to stop delinquency before it gets started. This was reported by Dr. Adelaide Johnson, University of Minnesota Medical School. When a development engineer like myself looks into the future and tries to explain what he sees, he begins to sound more like a science-fiction writer than a development engineer. 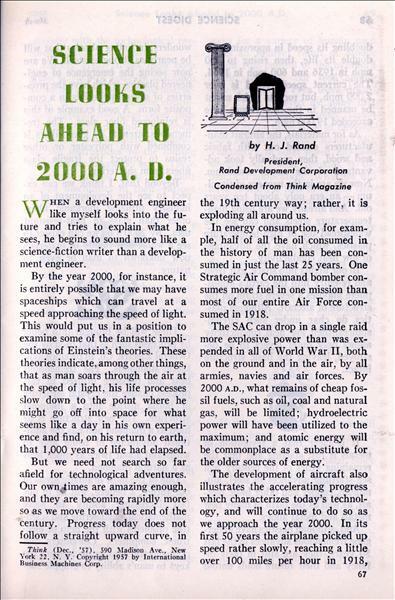 By the year 2000, for instance, it is entirely possible that we may have spaceships which can travel at a speed approaching the speed of light. This would put us in a position to examine some of the fantastic implications of Einstein's theories.